The third most visited museum in the world! 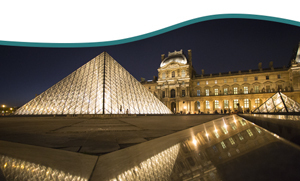 Amongst the most important attractions in Paris is The Louvre which contains more than 35,000 objects in its collection covering many different periods of history as well as different cultures and civilisations. The Louvre isn't just the most important Museum in France, it is amongst the most important in the world in addition to being the third most visited according to estimated figures from 2016. In this afticle you will find all the practical information needed in order to get to this iconic building and to visit it without missing out on some of the most famous and important works. 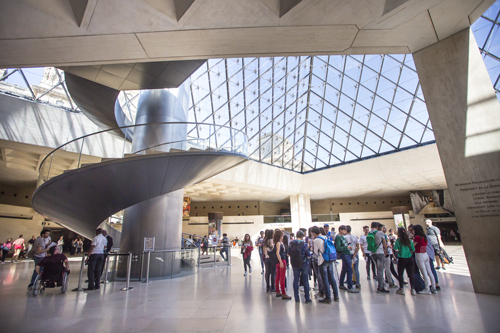 The easiest way to reach the Museum is on the Metro (Line 1 or Line 7) getting off at the Palais Royal Musée du Louvre stop or at the Pyramides stop (Line 14) which is just a little further. Depending on where you are staying, you can also get to the museum on any of the following bus routes: 21, 24, 27, 39, 48, 68, 69, 72, 81, 95. 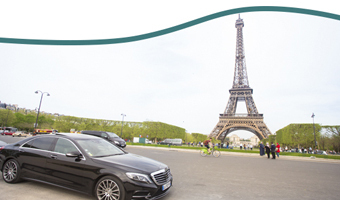 If you have opted to hire a car for your visit to Paris, bear in mind that you can use the car parks which can be accessed via Avenue du Général Lemonier which are open from 07:00 to 23:00. 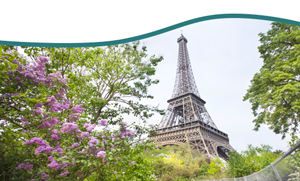 Another recommended form of transport which is definitely more eco-friendly is to travel around the city on a bicycle using the Velib stations at Place André Malraux, Rue Saint-Honoré or on Rue de l’Echelle. In order to get the very best out of your visit to The Louvre, it is important to know in advance what the opening and closing times are. The Louvre Museum is open to the public every day of the week, the only exception being on Tuesdays. The opening hours start every day from 09:00 and the Museum closes at 18:00 except on Wednesdays and Fridays when it closes at 21:45. It is important to be aware that the exhibition galleries actually close 30 minutes prior to the official closing time. The best times to visit The Louvre are either first thing in the morning or in the evenings on a Wednesday or Friday which is when the museum closes at the later time of 21:45. 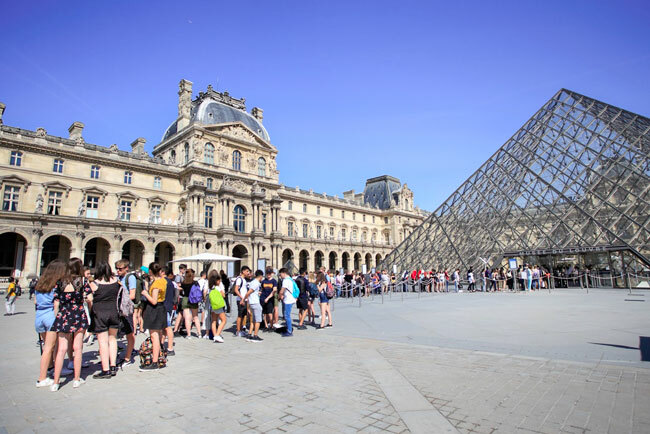 The Louvre Museum is the third most visited in the world and because of this, you will always find a queue at the entrance and more especially at the Museum's ticket offices. It is also possible to purchase tickets at the automatic dispensers which are inside the building but quite often there are problems with them accepting credit card payments (they don't accept every type of card). For this reason, buying your tickets on-line is highly recommended so that you don't waste a lot of time queuing to get into the Museum. There are security checks at the entrance and it is not possible to enter the Museum with large bags or suitcases. In order to find your way around once you are inside the building, on this page you can down-load a map of the building or, if you prefer, you can pick up a copy at the ticket office, without having to queue. Additionally, in order to make it easier for visitors to find their way around, an App has been developed which can be down-loaded onto an iPhone or an Android 'phone and which will assist you in finding different areas that you are most interested in more quickly and easily. The Museum is really vast when you realise that just the South Wing over the Seine has a length of 700 metres and visitors can feel anxious that they won't manage to find all the works of art that they really want to see. 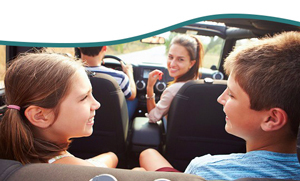 If this is the case, then it is advisable to visit the Museum in the company of an expert guide who speaks your language and is able to create a bespoke itinerary that takes into account your personal tastes and preferences. It is also possible to down-load a multimedia guide for €5.00 (which can be added to your purchase of tickets on-line). By doing this, you will have some help as you explore this immense labyrinth of art works and it may also help you to avoid getting lost! We will endeavour to give you an idea of how the Museum is laid out: its collections are sub-divided into eight departments. Eastern Antiquities, Egyptian Antiquities, Greek, Etruscan and Roman Antiquities. Islamic Art, sculptures, artefacts, paintings and graphic art. The collection focusses on: the art and crafts of ancient civilisations and western European art from medieval times through to 1848. In order to make it easier for visitors to find their way around, the departments are identified by different colours and different room numbers. In addition to the different departments and sections, spread across the building's three wings (the Delon wing to the south, Sully to the west and the Richelieu wing to the north) which all converge together in the Napoleón Hall, beneath the Pyramid, where you can move with ease from one wing to another. Amongst the most important Italian works are : Giotto's St. Francis receiving the Stigmata, The Coronation of the Virgin by Fra Angelico, Leonardo's "La Gioconda" (or the Mona Lisa as it is more commonly known), the Marriage at Cana by Veronese, The Portrait of Baltassare Castiglione by Raphael and Death of the Virgin by Caravaggio. Amongst the most important French works are: Liberty Leading the People and The Death of Sardanapalus by Delacroix and The Raft of the Medusa by Théodore Géricault. Amongst the most famous sculptures are: Jean Goujon's Fountain of Diana, The Nymph of Fontainebleau by Benvenuto Cellini and The Virgin and Child of Issenheim which is attributed to Martin Hoffmann, Psyche Revived by Cupid's Kiss by Canova and two of the six slaves which were created by Michelangelo for the tomb of Pope Julius II.